Mörrum River is located in the South of Sweden, a 2 hour train ride from the international airport in Copenhague. 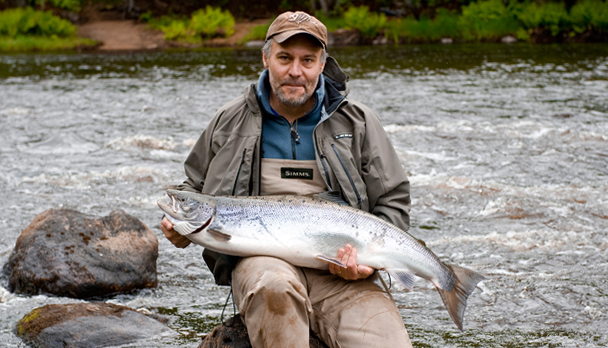 This Crown Jewel amongst Swedish Salmon rivers is considered one of the finest rivers in the world for catching large salmon or sea trout on the fly. Many salmon over 20 kg and sea trouts over 10 kg have been landed in these beautiful pools. Mörrum River is located in the South of Sweden, a 2 hour train ride from the international airport of Copenhague, has a length of 115 miles. 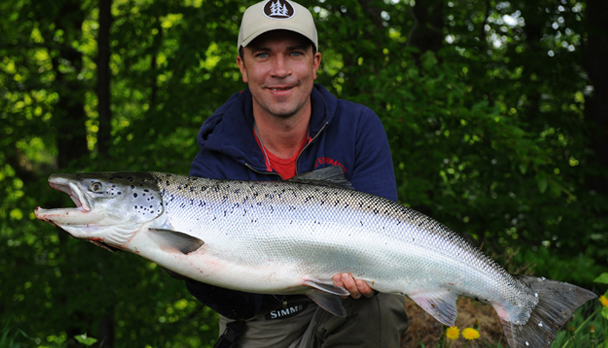 This Crown Jewel amongst Swedish Salmon rivers is considered one of the finest rivers in the world for catching a large salmon or sea trout on the fly. Many salmon over 20 kg and sea trouts over 10 kg have been landed in these beautiful pools. The river runs through an amazing green nature in the midst of the lush Swedish forest. You will fish almost 15 km of river, with a variation of slow pools and rapid currents. For those of you who are interested in explosive pike fishing on the fly we have some of the best waters in europe for big 10 kg+ pike in shallow water. As April turns into May the first big salmon start to enter the river. These fish usually weight closer to 15 kg. They are fat after eating herring in the Baltic Sea nutrient-rich water throughout the winter. The May fishing depends a lot on weather conditions, usually it's best fishing at the higher and colder water. Ideal conditions according to many mörrum fisherman is about 35-40 cubic meters and 10 to 12 degrees in the water. 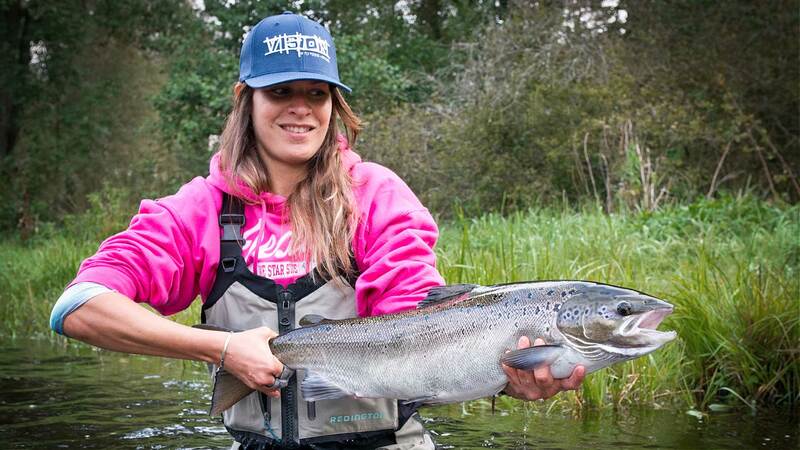 At these conditions the salmon runs in large quantities and rises to a well presented fly. In June the run is still going on, and due to the lower fishing pressure, the chances of capture are higher. During the month of September is Mörrumsån full of fish. The water temperature has started to fall, the nights are cooler and the river's famous autumn trout have begun to rise in large quantities. The salmon have started to become aggressive and attack a well presented fly, there are fish on all the beats, and you can fish all day. The sea trout is very easily disturbed, so precautions both with how you present the fly and how to wade. It is now that you have the best chance to catch a true trophy trout, concentrate your fishing around the golden hour before and after dawn and dusk! The salmon fishing in Mörrumsån have traditions that stretch back to 1200's. 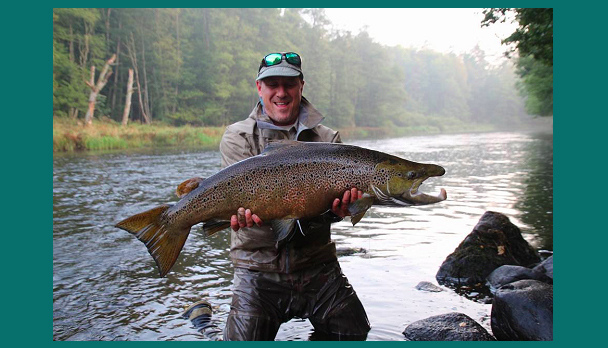 The river is famous for its large salmon and sea trout, it's natural beauty and its special fishing atmosphere. The fishing week runs from Sunday to Saturday, arriving to the Morrum train station from Copenhague Airport or from Malmo. Upon arrival guests are welcome with a cocktail and after getting settled in the rooms, there's a meeting with the head guide who will explain the fishing areas and the pool conditions. On the day of arrival and departure guests can fish in the home pool, carrying the fishing license provided by the Lodge. Fishing days start at 8 am and are 8 hours long, but guests are more than welcome to fish after hours by themselves in the home pool, carrying a flashlight for when it becomes dark. Morrum Lodge is a paradise located by the Mörrum River in the county of Blekinge in Southern Sweden. The old salmon smoking house from the early 1900s has been renovated and converted into Sweden's finest fishing lodge. with 12 double rooms and comfortable beds and bathroom settings, central heating, all rooms have view to the main poo.l The lodge also offers a nice deck to drink a cocktail and meet international fishermen at the pub after a long fishing day. At the lodge restaraunt the meals are classic dishes based on simple and carefully selected ingredients, prepared by a professional chef. Homemade beer from the micro brewery Brygghuset 19 in Karlsham, well-known cocktails and a small but carefully selected collection of wines are served. All this can be enjoyed inside or at our amazing terrace overlooking pool 17, Mörrums best spot for both salmon and sea trout. Rods: 12-15 foot spey rod in class 8 to 11Wt. Lines: Floating or intermediate lines. Should be supplemented with sinking leaders of varying types. Flies: Colorful and orange flies (T & L, Beiss, Red Sandy, etc.) in the size of 2-10 cm. The warmer the water, the smaller and darker flies. Try with nymphs. 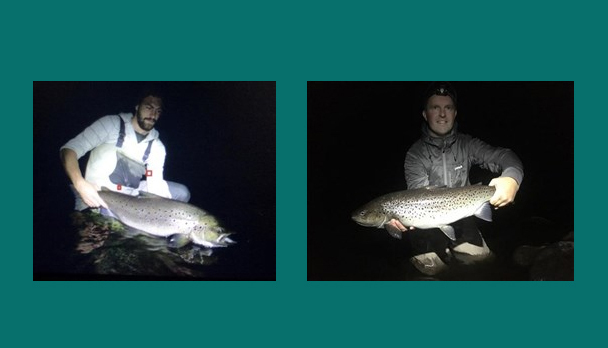 Dark, larger flies at night fishing. Leaders: Tippets Máxima of 10 to 20 lbs. Others: Waders. Rain Jacket. Polarized glasses. Wading stick. Warm clothes, especially at early mornings and late evenings. Rates include: Reception in Morrum train station and transfer in/out Lodge. 6 night accommodation, all meals and non alcoholic beverages, 5 days fishing with qualified guide, fishing license. Rates do not include: Personal health insurance, fishing equipment and flies, alcoholic drinks, staff and guide gratuities. Very good fishing, with nice days and good water temperature. In a good fishing day 16 salmon and 5 sea trout were landed, besides the great amount lost. Sizes vary from 7 to 31 lbs.